In the previous few posts, we spent considerable time analyzing the sound produced by commercial instruments to answer practical questions regarding tuning requirements. We came to the conclusion that we wanted to tune the fundamental frequency to an accuracy of 2 or 3 cents, that we might not be able to accurately tune the 2nd partial on the shorter bars and that we shouldn’t worry too much about tuning the 3rd partial, since most of the commercial instruments had 3rd partial ratios that deviated greatly from the ideal value of 6. Next, we turned our attention to the very practical problem of bar shape determination. 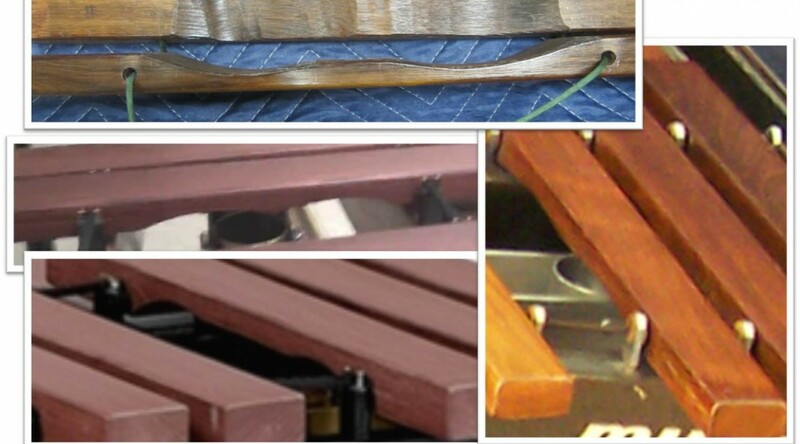 Pictures of xylophone bars that we found online showed a wide variety of undercut shapes, as shown in the collage at the top of this post. We found examples of bars that had simple “bridge” shaped undercuts like that shown on the LaFavre site (i.e., a flat bottom with rounded ends), single scallop undercuts, double scallop undercuts, etc.. The marimbas mostly seemed to have a simple bridge shaped undercuts, but the xylophones tended to have multiple curves, at least for the bars in the lower register. We also noticed that, in general, as the bars got shorter, they all tended to use a simple single curved undercut (as opposed to multiple scallops). Uncertain of how to move forward, my son and I turned to our old friend – the internet. Ideally, we would find a simple formula or recipe that would allow us to deterministically shape our bars, given our 1:3:6 desired tuning ratios. Initial searches seemed encouraging. One of the first papers I found was by Orduna-Bustamante (citation below). That paper described tuning of beams to a 1:3:6 ratio by using a undercut that was defined by a simple parabola. This seemed to be the answer that I was looking for: a simple functional form of the undercut that yielded the tuning ratios I was looking for. However, I had two concerns. First, I couldn’t understand why almost all of the xylophones that I found had multiple scallops for the undercut, rather than just the simple parabola described in the paper. I mean, if a simple shape will do, why all of the fuss to cut the more complex shapes. The second concern that I had with the results is that the author stated that they were typically only good for thin beams – those that had a thickness to length ratio of < 1/30. Given that my longest bar was about 15 inches, this meant that the thickness could only be 1/2 inch. It wasn’t clear to me at the time if this was the thinnest part of the bar, or the overall thickness. In any case, when you consider that my shortest bar was about 5 inches, this meant that the math was accurate only if the bar was somewhat less than 3/16 of an inch thick. The instruments I saw and inspected had bars that were much thicker than this. Bottom line: it seemed like I had to understand the relationship of the bar shape to all of these bar properties, or just try to mimic what I had seen on other instruments – the double undercut shape. So I dug my heals in and went back to the literature. I kept looking. Along that way, I found some more papers that described computing bar modes based on the shape of the undercut (some cited below). They all discussed “beam theory” which is a mechanical engineering topic that can be used to predict the vibrational modes of long thin objects. 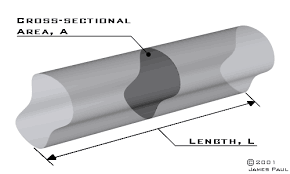 The mechanical engineers (MEs) define a prismatic beam as a long object (relative to its thickness) that has a uniform cross section. There is mathematical theory that describes how beams respond to external forces and how they vibrate. The two main theories are called Bernoulli-Euler beam theory and Timoshenko beam theory. 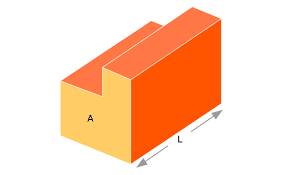 Both of these are analytic techniques that can accurately describe bending and vibrational modes in beams. Both make simplifying assumptions, so only provide an approximation to the true vibrational modes. They also require that the beams be slender and long in order to accurately predict the vibrational properties. The Timoshenko theory considers some second order effects, so is more accurate in some situations. But What About Non-Uniform Beams? Many of the papers that I found that describe the tuning of xylophone bars are based on Bernoulli-Euler or Timoshenko theory. However, as noted above, this theory only works for prismatic beams of uniform cross section. Of course, a shaped xylophone bar has a varying cross section, so how can this theory be used to predict the vibrational behavior of these bars? It turns out that bars of varying cross section can be approximated as a series of end-to-end prismatic beams of varying thickness. The theory can model each of the little prismatic segments accurately, and then other math is used to describe the connections between them. This technique is generally referred to as receptance sub-structuring in the ME literature. If enough short segments are utilized, the thickness steps between the bars can be minimized, resulting in a good approximation to a smooth undercut. The bottom line is that, while this theory has some limitations, it can provide a good estimate of the vibrational properties of shaped xylophone bars. As you will see in subsequent posts, this is the basis of the approach that I used to determine the shape of my xylophone bars. Chaigne, A., and Doutaut, V. 1997. “Numerical simulations of xylophones I. Time-domain modeling of the vibrating bars,” J. Acoust. Soc. Am. 1011, 539–557. J. Bretos, C. Santamaria, and J. Alonso Moral. “Tuning process of xylophone and marimba bars analyzed by finite element modeling and experimental measurements,” The Journal of the Acoustical Society of America, 102(6):3815-3816, 1997. J. Bretos, C. Santamaria and J.A. Moral, “Finite Element Analysis and Experimental Measurements of Natural Eigenmodes and Random Responses of Wooded Bars used in Musical Instruments”, Applied Acoustics, 56, 141-156 (1999). Orduna-Bustamante F., “Nonuniform beams with harmonically related overtones for use in percussion instruments,” Acoustical society of America, Vol. 90, No. 6, pp 2935-2941, 1991.